When you select a catering service provider make sure the person has versatile knowledge and experience in various fields. When you are planning a wedding the food and drinks play a very important part for the guests. The food and drinks provide you a second chance to introduce personality and style into your celebration. 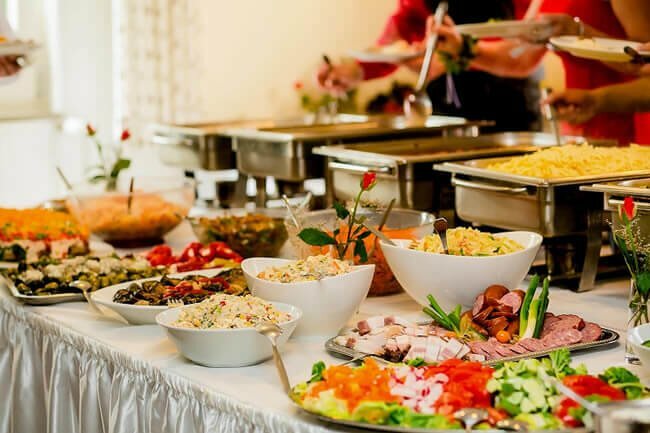 From flavor to aesthetics given below tips will help you in selecting the best plate and sip for your wedding food catering. When you select a catering service provider make sure the person has versatile knowledge and experience in various fields. Also experience and reviews is an important factor while you decide on a specific company. Another important detail before you plan on your wedding menu is you should make sure that your caterer is well versed with the recent trends. Also make sure you taste a sample of the menu decided by you to avoid surprises. The cost will eventually get a huge impact with the number of guests, appetizers, cocktails etc. 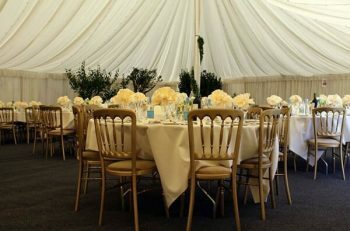 each decision that you make for the wedding food catering will certainly impact the cost. Therefore, if you establish a realistic budget from the very beginning it will help you stay on track. A delicious menu for wedding food catering always begins with choosing the right caterer. You will need to book them early. You have to book the wedding caterers usually at the same time when you book the wedding venues. 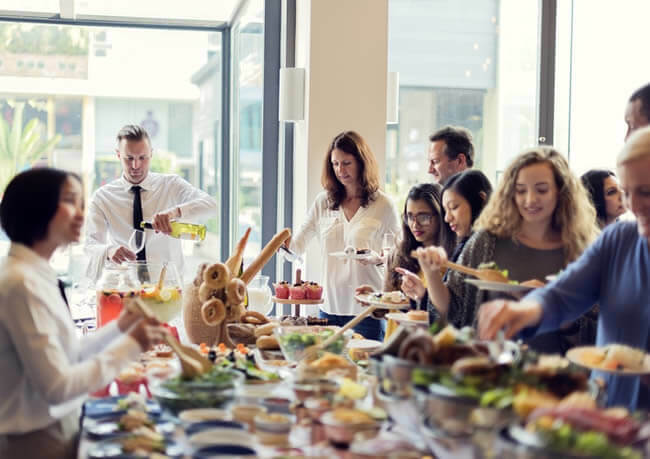 There are certain venues which provide their own in-house caterers or have a short-list of professionals that they usually like to work with. You may be charged extra if you are bringing your own chef. Therefore, if you do not want to spend that little extra, you may want to book a tasting session with the in-house chef. If you want to try new and exciting dishes on the menu, then you would want to work with chefs who are flexible and understand your needs. It is important that you know an approximate numbers of guests that will be attending your wedding party. This will help you to plan the menu, dishes, and cocktail hour accordingly. If you want to serve the best food spread at your wedding then you will have to limit your guests. But, on the other hand, if you cannot imagine your wedding without 100 guests then you may want to re-look the wedding food catering menu and plan again. If you are inviting guests over for the wedding celebration then you most probably know all of them. You would want your wedding food menu to be allergy and restriction free so that all your guests can be happy and enjoy to the fullest. Whether you have gluten free, vegan, peanut allergy etc. you will need to talk to your caterer about this at the earliest after you plan the guest list. Restrictions and allergies are really the last thing that the chef would want to hear from you when it is time to plate-up! Are you wanting a formal and sit down meal? Do you wish to include gourmet menu? Do you want the guests to enjoy local cuisine? Well, you are the boss and you will have to sit with the chef and decide upon the style of the wedding food catering for your party. Do you want the wedding party to be informal, music and dance all along? Then, you would want more cocktails and finger food for the guests. If you really want your guests to enjoy the wedding party and food then you must plan your course according to the weather, seasonal availabilities and freshest produce. If your wedding is in December then a summer tomato salad will be a disaster. 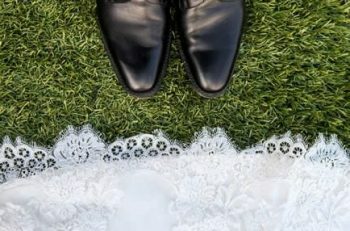 This is where you must ask for the caterer’s advice and plan accordingly. In the end, you really do not want a mishap at the main event. Therefore, it is recommended that you plan everything to the “T”. You want the wedding food catering to be a memorable part for your guests but in the right way of course!